Specialists in the Agricultural Equipment Industry! SAM is your specialist in farm equipment sales. The sales team are also up to date with the latest technology and will be able to assist you to make the right choice and to pair the right equipment with your tractor. Throughout the entire farming process, from preparation to Harvesting, SAM can provide you with the implements you require! 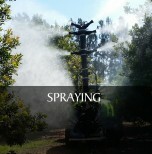 Spraying - Tractor-mounted and trailed airblast sprayers, low-volume sprayers and field sprayers, in different models and versions, available with several accessories and implements which allow the users the best solution for any requirements they may have in crop protection and weed control. 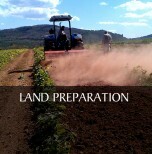 agricultural machines, uniform application of chemical products to the leaves, and easier application of fertilizers and herbicide to the ground. 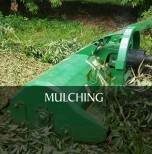 Mulching – Mulcher machines offer excellent solutions for not only ground preparation but also mechanized harvesting of fruits, checking for infesting weeds, cutting up of runners and pruning and stone crushing. 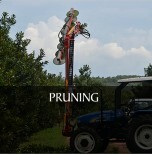 Harvesting - For maximum harvesting performance, it is suggested to prepare the ground, working it different times by mulcher during the previous year and before the produce falls to the ground. 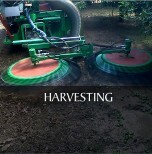 The harvesting accessory works by the tractor’s double acting hydraulic outlets, sucking the raked produce directly from the ground. Forestry - Forest winches for skidding and hauling logs from the forest are adapted to a tractor's standard three-point hitch. 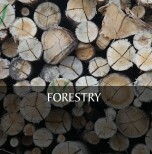 A forestry winch has become a familiar tool to farmers engaged in forestry and wood production.